Pform USA – improvements to design and CMS | Simplify I.T. 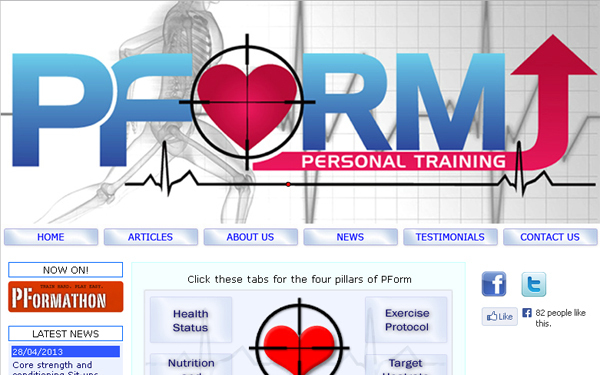 New Zealander Wez Parkes, who many will remember from his Waterford days, has just launched his PForm Personal Training business in Chicago. Having designed the original website and content management system (CMS), we’ve just finished freshening it up for the US market.